Amazon’s web services division has been great for the company so far, but it may face a new competitor soon. HP Enterprises impressed investors at an event Tuesday. The company, which was spun off from HP’s consumer tech division at the end of 2015, focuses on data servers and IT services for large companies. At the HP’s Discover user conference, the company reiterated their growing strengths and ability to cut costs and bolster profitability. “Bottom line, we see continued evidence of a turnaround at the company,” Kulbinder Garcha, a research analyst at Credit Suisse, said of the event. 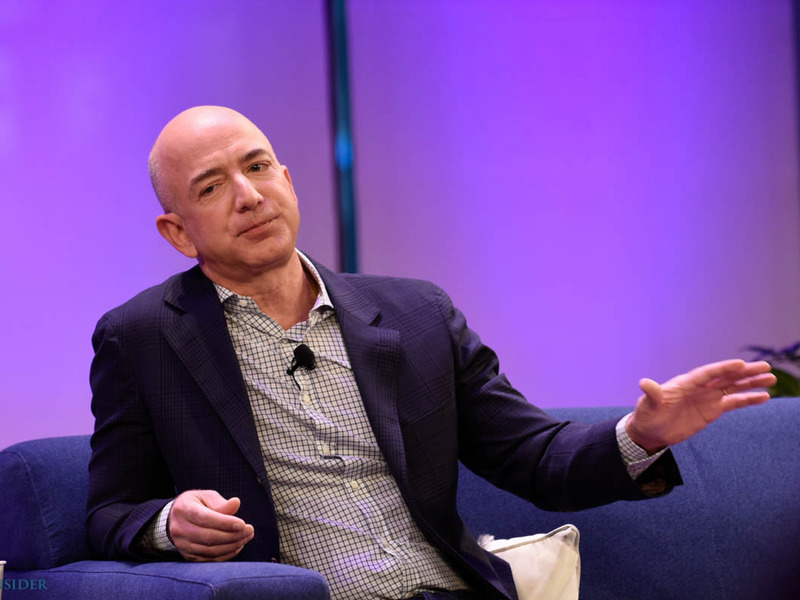 This growing competitiveness could prove to be a worry for Amazon. Investors have loved the diversification of the retail company’s core business, and Amazon shares have risen 70% so far this year. Amazon web services represents 31% of the market, according to Synergy research group, while HP Enterprises hasn’t made a blip on the map yet. But, HP is starting to woo big customers away from competitors. Dropbox partnered with HP to build out its data centres after leaving Amazon earlier this year. Other partners were announced at HP’s event Tuesday. “As HPE becomes more focused beyond today’s announcements, we note the important strategic partnership/wins with Arista, Microsoft, Docker and Dropbox do show an ability to potentially differentiate in the IT Hardware market,” Garcha said. 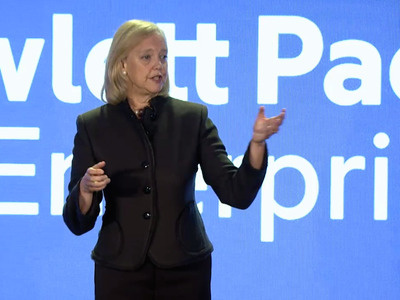 In addition to big partner gains for HP, the enterprise company highlighted its growing efforts in software. The company provides data analytics, security and IT services through its software, and it is predicted to be the fastest growing area for the company, according to Ittai Kidron, an analyst from Oppenheimer. “While no major acquisitions were made here in recent years, R&D investment has increased and the portfolio refreshed,” Kidron said in a research note. 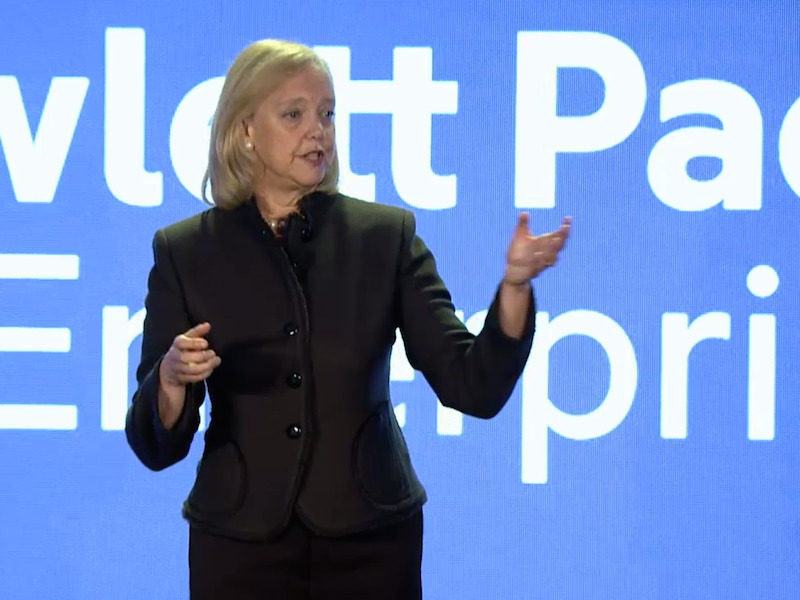 To help spur these growth areas, HP is spinning off its services division. The deal is expected to bring in around $8 billion in net cash, and will allow the company to focus even closer on it’s other businesses, according to Garcha. Amazon web services remain dominant today, but with positive news and renewed excitement from investors, HP might be AWS’s next big competitor. HP Enterprise has seen a 27% increase in its share price so far this year, and closed Tuesday at $19.16.